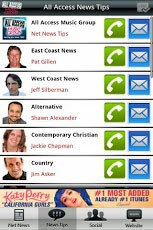 The Free All Access Android App brought to you by JacApps is available on Google. 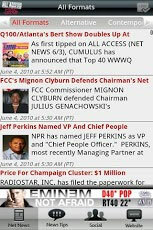 Receive breaking insider news on the Radio and Music Industry as it happens from AllAccess.com daily. Download Free Here >> -or- from your Android Phone access the Android Google App Store and type in keyword phrase "All Access Music Group" to download our free app right to your phone.